Government yesterday warned Zimbabweans in and outside the country against abusing social media through circulating subversive material that had the effect of undermining the State. Addressing journalists last night, Information, Media and Broadcasting Services Minister Dr Christopher Mushohwe said Government was aware of Zimbabweans circulating messages of terror against the State, among them Victor Dube (resident in South Africa), Jeff Judah Hossana (South Africa) and Tapiwa Marimbe (Australia) riding on social media. Social media: To regulate or not to regulate? Social media abuse: Rebels told to Stop It! He said some of the elements were fronted by political parties and included the so-called #Tajamuka and #This Flag. “Often their activities have been coordinated with disgruntled elements in the Diaspora who think their Diaspora status gives them both immunity and impunity. The link between these elements and intelligence services of hostile nations is now well-known, much as some of them vainly seek the cloak of religion, or other professional identities,” said Dr Mushohwe. “Let all well meaning Zimbabweans be warned and keep away from associating with programmes and activities that fall outside of the law and legal political activities. Government is aware of activists in the country collaborating with the diaspora cyber terrorists. They must be warned that the long arm of the law is encircling them,” said Dr Mushohwe. Dr Mushohwe challenged those countries that pretended to fight terrorism to explain why they were aiding those people “squatting” in their cyber-space and how the provision of haven augured with those countries’ self proclaimed public stance denouncing terrorism. “Zimbabwe does not interfere in the internal affairs of any country. By the same token, it brooks no such interference in its own internal affairs by any country, however, mightily that intruder may think of itself. Norms of good, interstate relations require that nations collaborate in the global fight against terrorism in all its manifestations, and at all stages in its evolution. Indeed, Zimbabwe has played its part. It expects no less contribution from other countries,” said Dr Mushohwe. Responding to allegations of harassment against journalists by law enforcement agents during demonstrations, Dr Mushohwe said while Government did not support their harassment, media practitioners should position themselves well during such disturbances to avoid being caught up in crossfire where unruly elements would be attacking the police. “Journalists should never be part of a demonstrating mob. You must always be on the side of the law enforcement agents,” said Dr Mushohwe. He warned people against being used by regime change merchants like Mawarire who was now housed in the United States making money for himself while his supporters continued to toil back home. Dr Mushohwe said political instability did not help anyone as evidenced by what was happening in some countries like Libya, Syria and Iraq where several infrastructure had been destroyed owing to hostilities. “The rich and the poor will be the same in destitution. It is not in anybody’s interest,” he said. 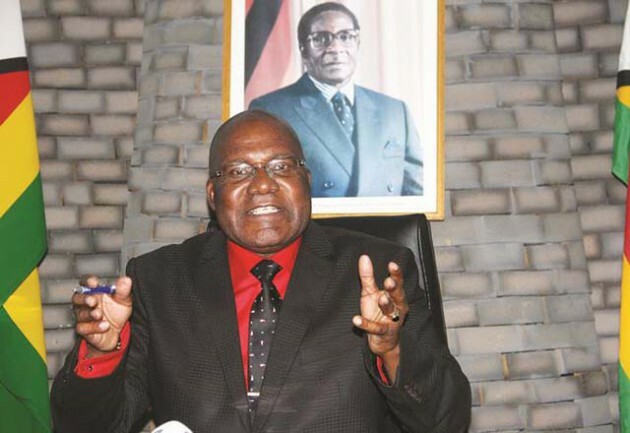 He defended the decision by police to invite NewsDay journalist, Richard Chidza to assist on the origin of a communiqué circulated during a press conference by the Zimbabwe National War Veterans’ Association which denounced the Government and President Mugabe. “Richard Chidza was said to be circulating the paper to other media houses. He was asked to explain where he got it. We are not saying he originated the document, but must explain where it came from. In fact, we must thank him for that,” said Dr Mushohwe.